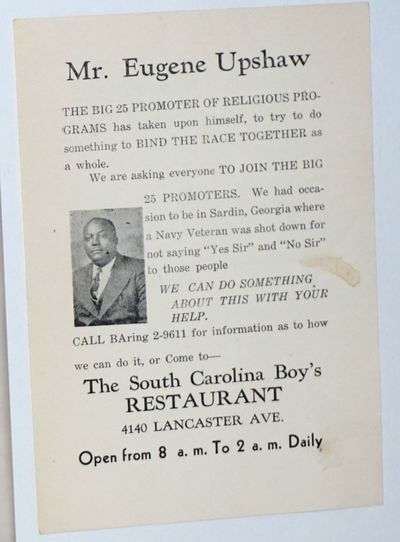 Mr. Eugene Upshaw, the Big 25 Promoter of religious programs has taken upon himself, to try to do something to bind the race together as a whole. We are asking everyone to join the Big 25 Promoters. We had occasion to be in Sardin, Georgia where a Navy veteran was shot down for not saying "Yes Sir" and "No Sir" to those people. We can do something about this with your help. ..